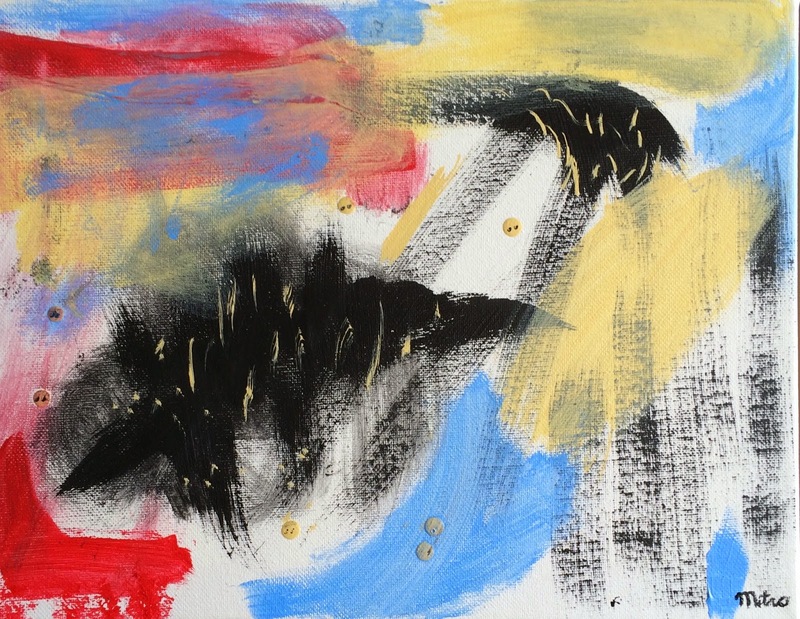 Old Yeller 2015 - Mitro 11" by 14"
It's tiny size makes it easy to collect myriad exquisite tiny canvases with no worry about space requirements. Fine art haiku a new way to collect fine art also comes in at a much lower price due to it's small size. As it typically measures only 11" by 14" it's small size allows collectors to display many different paintings at one time that normally could not be displayed due to space and price constraints. For those collectors who simply must have a new and upcoming artist whose price tags are in the stratosphere, a small visual haiku of a painting it the perfect way to collect art. As fun to collect as postage stamps and coins. Katheleen Mitro is an artist whose upper price range of paintings top the $2,000,000 dollar mark. 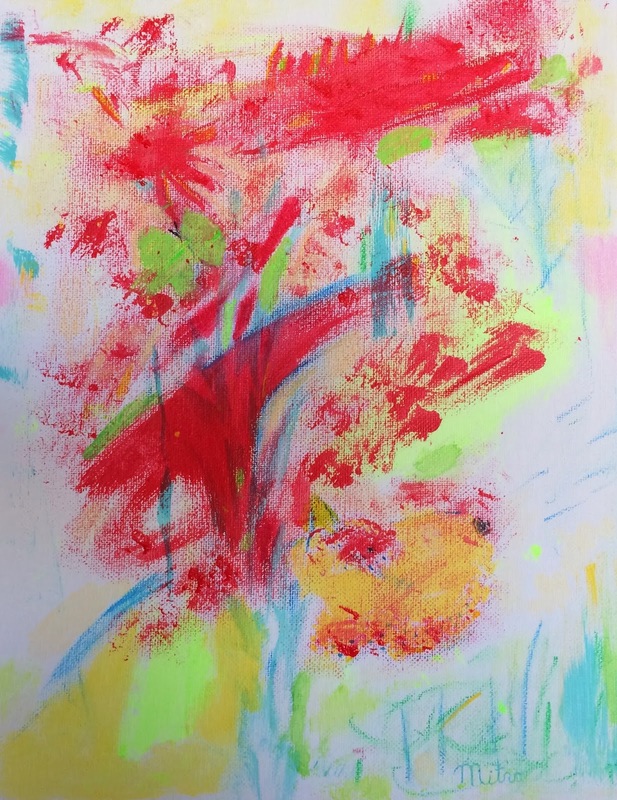 Mitro Mitro is a must have artist for all serious collectors of fine art working in a brand new art genre of Soft Abstract Expressionism. Mitro paints tiny size haiku allowing the collector to come in at a much smaller price tag of $50,000 compared to her large works selling for millions.